The author is an NAHJ member, but is not affiliated with this initiative. Nearly half a million people are still without electricity more than four months after Hurricane Maria pummeled the tiny Caribbean island of Puerto Rico on Sept. 21. One of the biggest challenges for the entire island was the lack of functioning communications services, like cell phones and internet access. In response, the National Association of Hispanic Journalists, a group established in 1984 to support Latino journalists, launched the Puerto Rico Emergency Communications Access and Journalism Initiative in October. NAHJ’s three-part initiative was designed to assist journalists in reporting news from the island, to allow local communities access to communication tools, to illuminate the humanitarian crisis happening on the island and to provide ongoing support for NAHJ members. People tend to overlook the need for communications and information during a disaster, but it’s a basic need as well, the initiative’s project editor, BA Snyder, said. In some cases, it took weeks for hurricane survivors to contact their family members in the U.S. The lack of communications impeded the disaster relief effort, as well as journalists’ ability to report the news. In the first few days, WAPA Radio, based in the capital of San Juan, was the only media operation still able to broadcast. A MediaMatters analysis of five political shows aired on the Sunday after Maria, three of those shows did not mention Puerto Rico at all. And the two that did dedicated less than one minute of coverage to the storm. The first step of NAHJ’s initiative was to set up 10 “communications stations” throughout the island and equip them with satellite phones, solar power chargers and wi-fi hubs. The stations were placed within newsrooms where journalists could manage them and use the equipment to report stories. But the stations, all of which are still operating, are also open to the wider communities, providing an invaluable resource by allowing community members to communicate with their loved ones. The idea for the communications stations was developed in conjunction with the Knight Foundation, who pledged to match crowdfunded donations up to $10,000. The day the initiative was announced, the Ford Foundation also gave $10,000. To date, more than $29,000 has been raised. Snyder said one of the challenges of running the stations is that the equipment is costly to operate. However, power is slowly returning throughout the island, and the equipment will be donated when it’s no longer needed. NAHJ’s initiative gave reporters access to phones and other tools, allowing them to publish from the island. Any of the stories published by those outlets in the months after the storm before their newsrooms had electricity restored were made possible by the Puerto Rico Emergency Communications Access and Journalism Initiative. Those include La Isla Oeste’s “How to Make Water Safe to Drink,” WALO Radio’s “Social Media Helps Get Aid to Humacao’s Mariana Neighborhood ,” and “Dozens of Uncounted Deaths From Hurricane María Emerge in Puerto Rico,” by Puerto Rico’s Center for Investigative Journalism. CIJ also collaborated on stories with Latino USA. The second piece of NAHJ’s initiative is a longer-term collaborative effort to support journalism on and about the island in the wake of the storm. Members and supporters of the initiative can get updates through a Facebook page and a Twitter profile. The organization is working with citizen reporters supported by NGO NetHope who are dedicated to gathering information and sources for publishers at no cost to their newsrooms. 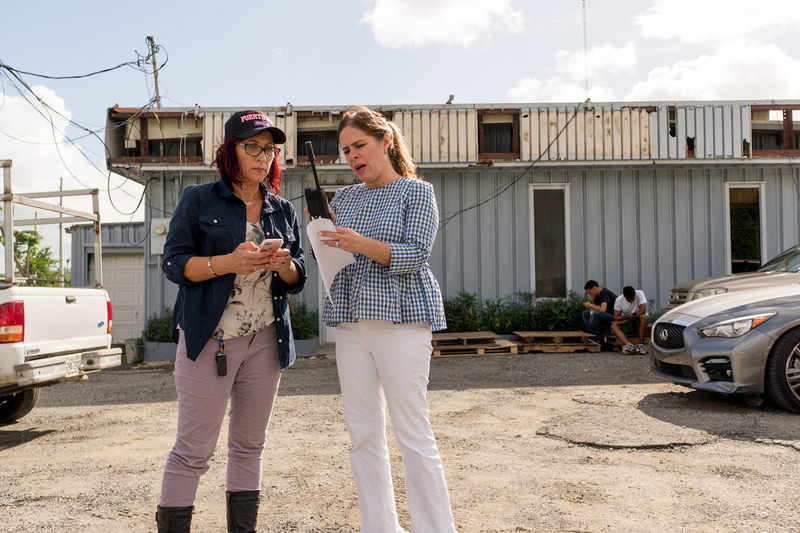 It’s also working with Storyful, an agency that finds and verifies social media content, to ensure that all content posted to the #ConnectPuertoRico social channels is accurate, according to Snyder. Finally, NAHJ will produce a longterm guide for journalists, a sort of “dos and don’ts” blueprint that will focus on best practices for disaster coverage. Snyder said the organization expects to publish it shortly before its annual convention in July. Part of NAHJ’s mission is to provide training and resources to its members. As part of its long-term plan to support Puerto Rican members, the organization will provide free membership to journalists and scholarships students on the island for 18 months.